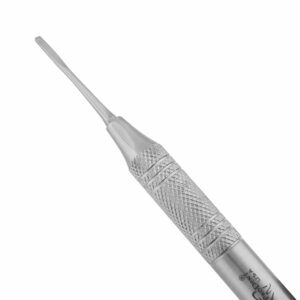 From chisels to files, we offer a variety of periodontal surgical instruments necessary for removing calculus deposits in all areas of the mouth. Used to remove and reshape soft tissue during periodontal surgical procedures. Thin blades are ideal for interproximal access. These curettes are designed to remove heavy subgingival calculus during periodontal surgical procedures. Used to remove and reshape bone during periodontal surgical procedures. Used to remove and reshape soft tissue. 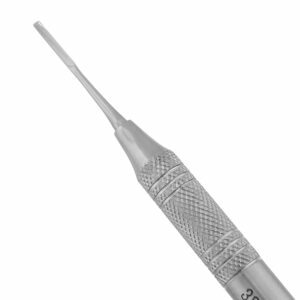 Thin blades are ideal for interproximal access. Used to file soft tissue interproximally.